Royal Vista Ranches, LLC is located one mile from I-35 in Wayne, Oklahoma, just minutes from Purcell, Norman, and Oklahoma City. We are a full service breeding facility specializing in year-round broodmare and donor mare management, foaling services, and sales preparation. We also stand some of the industries most prominent Quarter Horse Racehorse stallions. Please contact us, or stop by for a visit, and let us help customize a breeding program that fits your needs. Visitors are always welcome!! DVM established the first Royal Vista Equine Inc. in their hometown of Fort Collins Colorado in 1990. Vaughn left the Colorado State University Equine Reproduction Laboratory which he had managed for 18 years and where he had been involved in the pioneering of equine embryo transfer and assisted reproductive technologies. Jill graduated from veterinary school at CSU and completed a year of Equine Ambulatory Service at the Veterinary School. 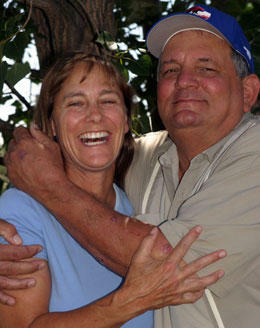 The couple combined their expertise and formed a very successful equine embryo transfer and breeding farm. In addition to the services they provided to the public they established a strong group of race broodmares and enjoyed breeding, selling and racing quality American Quarter Horses. 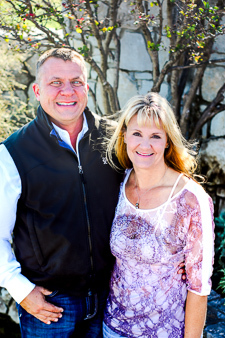 Vaughn and Jill continue to live in Fort Collins with their two teenage daughters but expanded their horse program into Oklahoma by starting Royal Vista Southwest LLC with Dr Jim Bailey and Royal Vista Ranches LLC with Laura Wipf. They have since sold their interest in RV Southwest to John Smickalas and have concentrated on developing Royal Vista Ranches into a premiere breeding farm standing some of the top racing stallions in the nation. They spend considerable time in Oklahoma and breed, raise, and race many of their horses there.